Captain Cook Cruises is celebrating its 40th Birthday this year with some amazing cruising discounts, a one day mega web sale and free cruises for 40 year olds. For those dreaming of a tropical getaway to escape the Australian winter, Captain Cook Cruises are offering 30% off brochure fares on all 3, 4 and 7 night Fijian cruises. The three nights Southern Yasawa Islands cruise starts from $839 per person twin share, the four nights Northern Yasawa Islands cruise starts from $1049 per person twin share and the seven nights Yasawa Islands cruise starts from $1749 per person twin share. This great deal is valid for sale until 30 June 2010 and valid for travel from 01 June 2010 to 31 March 2011. As an extra bonus for families a separate children's bunk cabin is available at no additional charge with payment of two or more children 3-17 years with accompanying parents or guardians. If discovering the distinct winter beauty of the Murray River and Sydney Harbour sounds appealing Captain Cook Cruises is offering 25% off all Wintersun 3, 4 and 7 night Murray River cruises and two nights Sydney Harbour Weekend cruises from June to August 2010. Wintersun Murray River cruises start from $583 per person for the three nights Discovery Cruise, from $779 per person for the four nights Outback Heritage Cruise and from $1199 per person for the seven nights Murraylands & Wildlife Cruise. The two night's Sydney Harbour Wintersun Weekend cruises start from $359 per person twin share. The Wintersun sale is valid for travel 01 June to 31st August and on sale until 31 August 2010. 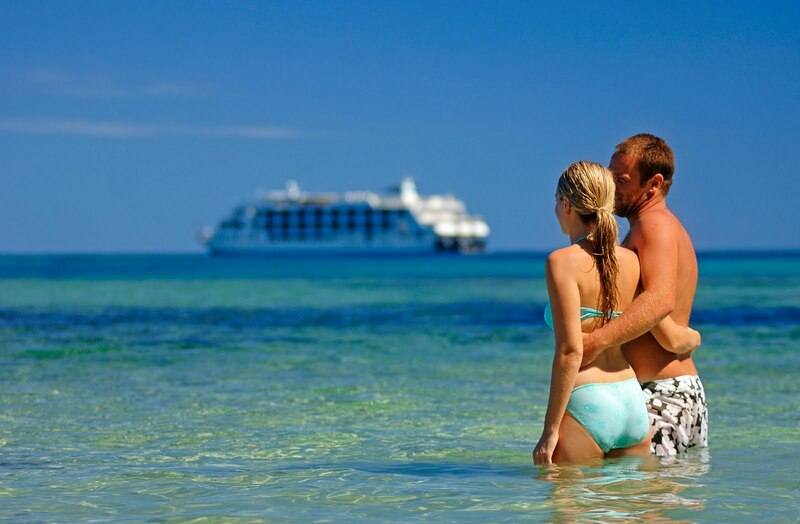 All cruise prices include accommodation, all meals, on-board facilities, entertainment and most on shore excursions. For anyone lucky enough to 40 years of age, Captain Cook Cruises is letting you cruise for free on any Sydney Harbour sightseeing cruise including the famous Coffee Cruise, Harbour Highlights and Harbour Express Cruise. Passengers must be 40 at the time of cruising and photo identification must be shown at the ticket box. To really help get the party started, Captain Cook Cruises is having a one day mega web sale in early June where cruises will be given away for as little as $1 from our range of Sydney Harbour, Murray River and Fiji Islands fleet. To take advantage of the sale customers must first pre-register. Visit www.captaincook.com.au/specials for details. For further information and bookings, please contact Captain Cook Cruises toll free from Australia on 1800 804 843; Int +61-2-9206 1111, Email: or visit www.captaincook.com.au.